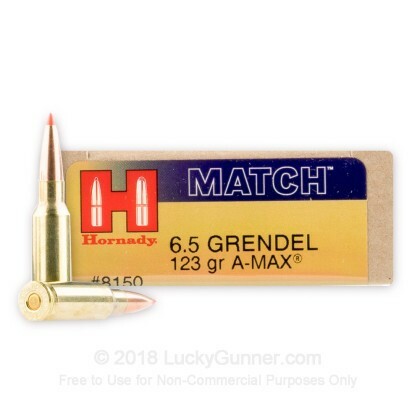 This ammo from renowned premium bullet and ammo manufacturer Hornady is an excellent hunting and match load for AR-15 rifles with 6.5mm Grendel uppers. 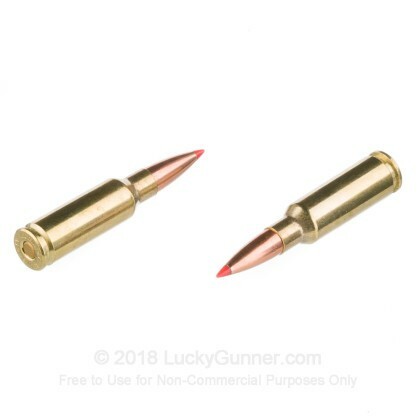 Manufactured in the USA, these cartridges come packaged in a cost-effective 200 round case suitable for serious shooting work and competition. These cartridges fire the Hornady A-Max bullet, a hollow point projectile that offers excellent accuracy and terminal performance. The A-Max's aerodynamic polymer tip and boat tail give it low drag and high stability against crosswinds and help ensure that your shots land closer to the point of aim. 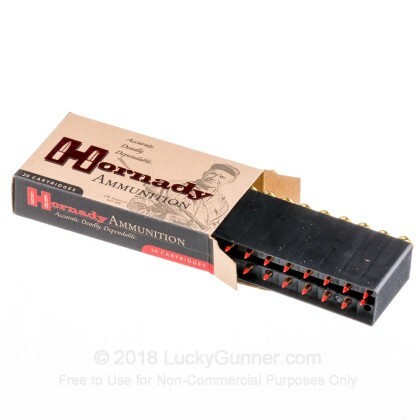 Like other Hornady ammo, these rounds use non-corrosive Boxer primers and brass cases. 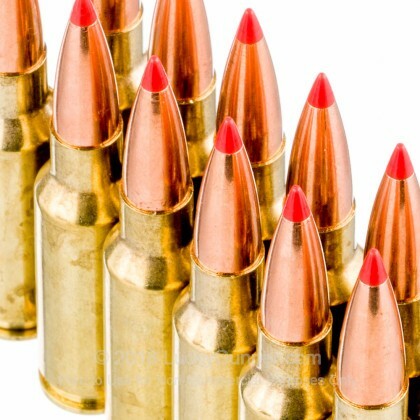 The 6.5mm Grendel cartridge occupies a middle ground between the AR-15's typical .223 Remington/5.56 NATO chambering and the higher-caliber .308 Winchester/7.62 NATO used in the AR-10 and the M-14. Usable on an AR-15 with a change of upper assembly and magazines, it is a versatile round that was developed by Alexander Arms and introduced in 2003. 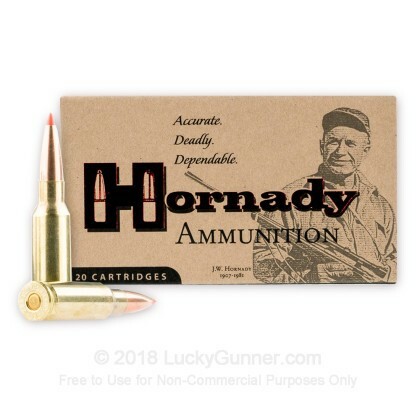 We don't have any reviews yet for this particular 6.5 Grendel ammo from Hornady. 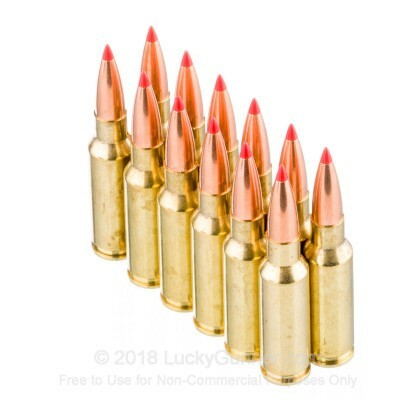 If you'd like to be the first to review this particular 6.5 Grendel ammo from Hornady, fill out the form below.